Cavanaugh accuser: Another liberal liar! 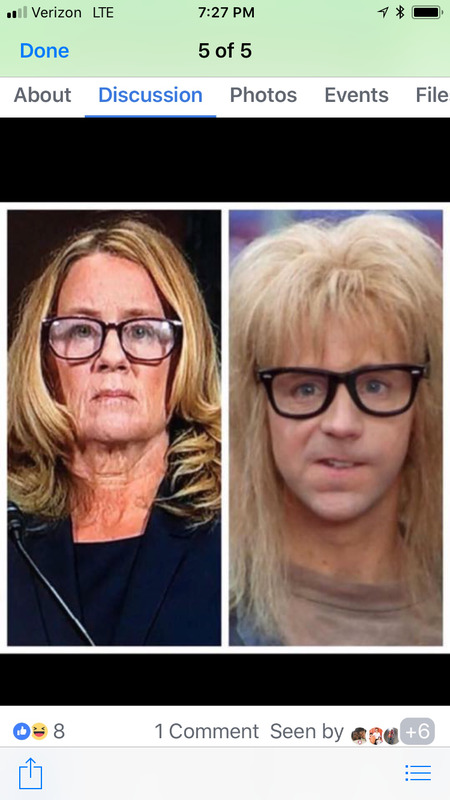 Re: Cavanaugh accuser: Another liberal liar! 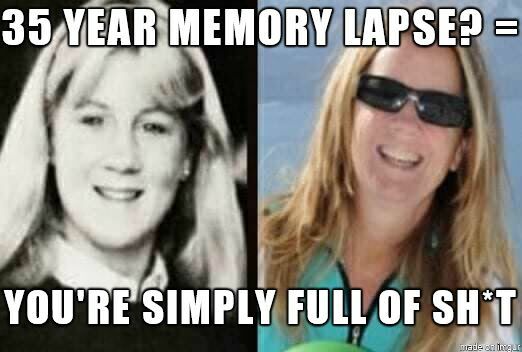 I think I heard something on the news last night about her donations, and something about the law firm that her brother works for has lost several cases either against Kavanaugh's mother or possibly by him? This crap is getting deep indeed! im just catching a quick bit of this live hearing, and all I can say is that this woman is stupid!!!!! and is being led by her attorney! Any republican that votes against Kavanaugh, I’m going to declare financial jihad on. I’ll contribute and make calls and whatever I can do to get them to lose their seat. I watched kavanaughs opening statement, and DAMN!!!!!!!!!!!! he blasted all of them to include the Clintons (yeah both) ! pissed off was/is an understatement! I am watching the case play out on cbsn. I am so fired up about this. I hope the dems burn in their hell for all time for this stunt. And by hell I mean another 3 generations of Trump!!! I can’t even watch it!! I am however having sushi and hiabachi with my beautiful wife and kids! With Nigori Saki so I’m good. When civil war erupts, history will show it was due to the degradation of the moral and constitutional fabric of our country through circuses like this. Oh i watched it live, and it was good. Good luck judge on the vote tomorrow! If only we could put some Dems through the same. She has no witnesses, he has many. Finklestien still wants an investigation, but of what? Delay, delay is all it is. Vote him in and be done with it! Historically, when a justice retires or passes, presidents would nominate a person who reflects that judge’s ideology, at least directionally. This is nothing more than evil wanting the continued ability to keep sacrificing their unborn children at Lucifer’s feet. I am thoroughly amazed at what lengths evil will go to continue these blood sacrifices upon the innocents. I still think L Graham is a DB, but maybe the weasel has at least one vertebra left in his back. My wife and I were talking about the wonderment of God's plan, if in fact kavenaugh is confirmed, and the the bag of bones and evil Ginsburg croaked after the mid-terms should the Republicans keep the Congress, that would be salacious wonderment watching all the Libs faces melt similar to the Ark scene in Raiders of the Lost Ark! Like Martin.....I HAVE A DREAM! But let her retire. She would be a marter if she passed and all Hell would break loose!